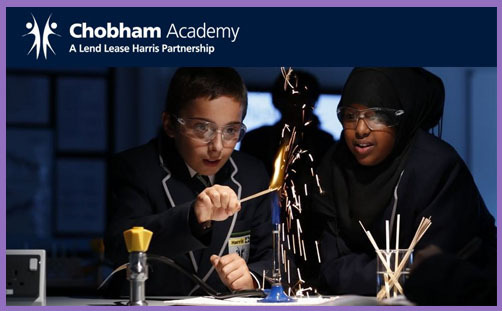 According to Ofsted, Chobham Academy in the London Borough of Newham is an outstanding school. It is important to begin with that observation, because the school’s leaders, governors and sponsor (Harris Federation) clearly have high expectations of pupils and teachers, and academic attainment is high. The Academy’s vision works: its ethos is admirable; its culture exemplary. Last year’s Ofsted inspection notes: “Pupils come from a wide range of minority ethnic groups. The biggest groups are Black African and those of Asian heritage. The proportion of pupils who speak English as an additional language is above average.” To be rated ‘outstanding’ across the board, when the ethnic intake is complex and the number of disadvantaged pupils is well above the national average, is something to celebrate indeed. Newham’s population is one of the most ethnically diverse in London. In 2009, 64.6% of residents were recorded as being non-white. Of these 20.5% were Pakistani or Bangladeshi, 18.1% were Black, 11.5% were Indian and 14.4% were either of mixed ethnic origin or from another non-white ethnic group. The religion breakdown reflects this: Christianity (40%); Islam (32%); Irreligion (9.3%); Hindu (8.8%); Sikh (2.1%); Buddhist (0.8%); Jewish (0.1%); Other (6.9%). Since Chobham Academy is non-selective, its intake is likely to reflect these proportions, which makes the fact that it partially closed on Monday this week in celebration of the the Islamic festival of Eid al-Adha a little disconcerting. Of course, not all those who were forced to take this holiday were obliged to sacrifice a goat. Nor are they forced to believe that Allah appeared to Ibrahim and told him to sacrifice his son Ishmael. But all pupils in the school’s nursery, reception, Year 1 and Year 2 were obliged to take this holiday irrespective of their own culture or beliefs. The reason, the headteacher explained, is because of the “high number of staff requesting leave for religious observance”. This is an interesting because DfE guidelines determine that absence for religious observance must be treated as authorised. So all the Christian, Jewish, Sikh, Hindu and atheist-agnostic children who were forced to miss a day’s education because of Eid al-Adha were authorised to do so, even though their parents hadn’t requested it, and didn’t want it. Doesn’t the mandatory authorisation of alien religious observance amount to an unjust edict and wrongful imposition? And before you shout ‘racist’, or insist that it’s no different when Muslims (Sikhs, Hindus, Jews, etc) are forced to take holidays at Christmas and Easter, it really is. According to an imminent government report by Dame Louise Casey on social integration, “traditions such as Christmas celebrations will die out unless people stand up for British values“. ..Waves of immigration have rapidly changed the character of some state schools and left residents in parts of Britain feeling unsettled.. If your non-Muslim child went to Chobham Academy and was suddenly obliged by the phases of the moon to take an Islamic holiday, wouldn’t you feel a little unsettled? There’s no suggestion that this school cancels Christmas or bans Easter eggs to avoid offending Muslims: the enforced Eid al-Adha holiday was apparently a matter of staffing logistics. They simply have so many Muslim teachers that the school couldn’t function safely during Islamic holidays when so many of them want time off. This is really quite baffling. Hasn’t the Headteacher, governing body or Harris Federation heard of supply teachers? Is it really beyond the wit of a senior leadership to cope creatively without a number of staff for one day? Or is it simply that it’s easier and cheaper to give everybody a day off, because an academy, after all, must be run as a competitive business? Religious liberty is a British value, but the mandatory layoff to celebrate an Islamic festival is not. And anyone who cries that this should also apply to Christmas and Easter is propagating the same malignant politically-correct coercion which is undermining British traditions, values and customs. You may consider it ‘racist’ that anyone should object to non-Muslim children being deprived of their education because of teachers from a Pakistani or Bangladeshi background. But this is the same denial, the same fear of offence, the same hyper-sensitivity which allowed the sexual exploitation of children in Rotherham by a group of men whose ethnicity and religion no-one dare name. By all means, let Muslim teachers and pupils celebrate their holy festivals: that is a necessary liberty and a social good. But let’s not impose an Islamic day of rest upon all citizens from every background because a minority believes that Ishmael was favoured over Isaac. It is our Christian heritage which is culturally cohesive, and it is Christian laws and traditions which determine and define how we live together. They forged the historic foundations of our common good. A school community must respect that, lest it atomise into a myriad of equal faith demands under a coercive, anti-discriminatory aegis of secularity, with each god in the pantheon competing for dominance in the hierarchy.